The real estate market is complex. Industry standards are always changing and laws surrounding mortgages and finance can make compliance difficult. As a leader in California real estate law and commercial lending practices, the Law Offices of Steven Gourley is dedicated to helping our personal and business clients successfully navigate the real estate lending market and avoid liability. Our firm works with commercial banks, private lending institutions and hard money lenders. 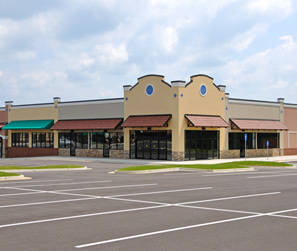 Commercial loans can pose a risk for both lenders and borrowers. Without proper guidance and loan structuring, a buyer could face unexpected costs. Lenders could face default if transactions are not properly financed. The Law Offices of Steven Gourley offers comprehensive representation to successfully complete commercial lending agreements. Commercial investors will face a number of issues involving regulatory compliance, documentation, securities and the formalization of transactions. We represent lenders with all aspects of commercial loan documents and transactions. With extensive years working in corporate and business law, we understand lenders’ objectives and will work strategically to achieve your goals in a timely, efficient manner. Understanding that time is of the essence in these cases, you can trust that we will work diligently to solidify an agreement, while protecting your immediate and future interests. As your advocates, we will work to protect your organization’s interest. We have broad experience in a range of capital and commercial loan transactions and will work quickly to resolve any potential issues. Our priority is achieving favorable loan conditions and long-term security for our clients. For more information about lender representation or our expert witness testimony services, contact the Law Offices of Steven Gourley at 424.286.9246 or online. Our team is dedicated to providing the highest level of advocacy and remains committed to achieving the best possible outcome in your case.